Peeling is a treatment for the skin with a product with very low pH value – meaning it is acidic and effectively removes dead skin cells, so that a new and fresh skin layer can appear. At Inviocare we use the American dermatologist Zein Obagis’s ZO Skin Health peels, that are known for their gentle yet effective action. The peels are designed with specific goals in mind; some are designed to work on hyper-pigmentation and scar tissue, others work specifically on acne and the problems that come with skin imbalances. ZO’s special 3-Step Peel is a deep acting peel that through three stages increases the skin’s ability to renew itself and protect itself from environmental impacts. It leaves the skin significantly rejuvenated, balanced and more even in both texture and appearance. Peeling has permanent effect, but it is important to be gentle on the skin after the treatment and to be sure not to expose the skin to any new damages. Your therapist may recommend creams that can nourish your skin after peeling and Zein Obagis’s professional series include specific products that can help you increase and maintain the effect of the peel. We get the best peeling results when we use the treatment on sun damage and acne scars. Peels have been found to be highly effective on the delicate and fair Scandinavian skin that tends to get strongly affected by the sun and the effects of ageing. Sun damage can be reduced and in this case both skin tone and texture is improved giving the skin a smoother, more even appearance. If you have hyper-pigmentation, you will probably see an improvement already after the first treatment, but it is generally recommended to plan a course of 3-4 treatments a few weeks apart for maximum effect. Get 50% on your 3. treatment. This only applies if you pay for all 3 treatments at the same time. 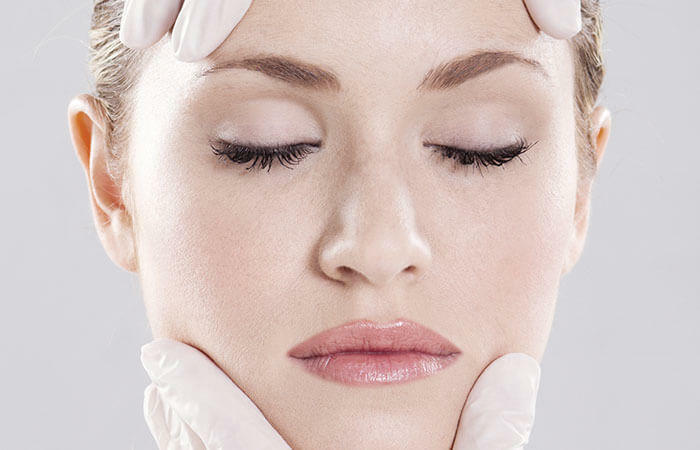 Acne scars, wrinkles and fine lines, around the eyes for example, can also be reduced with peels. Peels work brilliantly in combination with other scar and wrinkle reducing treatments – we regularly tailor longer programmes for our clients and see the best results when we combine several types of treatments in one programme. The result from peels are permanent, so small signs of ageing, minor blemishes or a serious skin condition can be improved forever. After that, it’s just a matter of taking great care of the result to keep it. You do not need to book a consultation before a ZO peeling. The skin should be clean, pure and whole – no sores or scratches where the peel will be applied. The peeling is a multi-step process. The first step is a thorough cleansing of the skin, which is followed by a particularly active exfoliation before the peeling itself is applied on the treatment area as a mask. It may be on the face, neck or chest – areas where the skin is delicate and small pigmentation changes or scars stand out. The peeling can sting a bit and may feel warm. After the peeling itself, the skin will receive an after-treatment with stimulating, calming and rebuilding products that balance the skin. Immediately after the peeling, the skin will appear smooth, moisturized, more even, and with an amazing glow. To take care of your newly treated skin, you will have to use factor SPF 50+ for some weeks after your treatment. Your therapist will also recommend nourishing after-treatment creams that you must use after your peel to nourish and maintain the effect. A quick functioning, stimulating treatment which combines three effective acids with active ingredients to increase cell renewal and ward off fine lines and wrinkles. The skin becomes soft, smooth and gets an amazing glow. Perfectly suited as a lunch or party peel, it is recommended as a series of treatments for optimal and long-lasting results. A stimulating and incredibly moisturizing skin treatment which prevents fine lines and wrinkles, evens out the skin tone, and restores the moisture balance. Face and neck massage is carried out with a special combination of botanical extracts and vitamins that are extremely soothing, cooling and comforting on irritated and sensitive skin. Perfect for anyone who experiences shiny skin during the day or have a tendency towards clogged pores, sebum, or acne. An incredibly efficient deep cleanse where an accumulation of dead skin cells is exfoliated away, and a special mask absorbs and wards off sebum and impurities. In addition, face and neck massage is included, soothing, cooling and comforting irritated, sensitive skin and break-outs. The skin becomes cleaner and clearer, while the skin is stimulated and activated. The ultimate ‘red carpet treatment’. A luxurious treatment which combines skin renewing alpha hydroxy acids, pigment reducers, vitamins, and other stimulating ingredients in order to immediately soften and even out the skin tone, tighten the skin, and give it an amazing glow. The face and neck massage increases the circulation and improves the absorption of the special mask and the active sera, which are applied afterwards, while decreasing stress in a busy everyday life. SOS treatment of dehydrated, dry and sensitive skin. The moisture balance is immediately restored, and soothing, comforting and cooling ingredients softens and moisturizes the skin. ‘Cinderella treatment’ for anyone who needs a ‘here and now’ refreshing treatment for the night. Exfoliation and a special mask removes dead skin cells, moisturizes, and gives the skin renewed glow and radiance. An extra efficient version of the classic deep cleanse. Extra exfoliation and activating sera combined increases skin renewal, rejuvenates the skin and makes it soft and glowing. Powerful antioxidants and anti-inflammatory ingredients help protect your skin against future damage.